The SES members and Head of the Disability Employment Service (DES) from the Department for Communities, Terry Park. Yesterday Communities Minister, Paul Givan announced new contracts with the lead providers of Workable (NI), the Executive’s disability employment programme. Workable (NI) supports people with a range of disabilities to secure and retain paid jobs across every employment sector throughout Northern Ireland. The programme is currently supporting almost 700 employees. While the Workable (NI) programme has been running for the past 10 years, new contracts have been awarded to three lead providers to deliver the programme over the next five years.The three lead providers are: Disability Action; Ulster Supported Employment and Learning (Usel); and Supported Employment Solutions (SES), a consortium of seven local disability organisations, of which Action Mental Health is the joint lead. The lead providers will provide teams of dedicated and specialist employment officers, who will work with individuals who are seeking employment or those who are in work, but experiencing real difficulties due to their disability. They also offer tailored support to the host employer, including disability training for staff, mentoring support and input into the employee’s performance review process. Gillian is working as a Customer Assistant for Marks and Spencer. 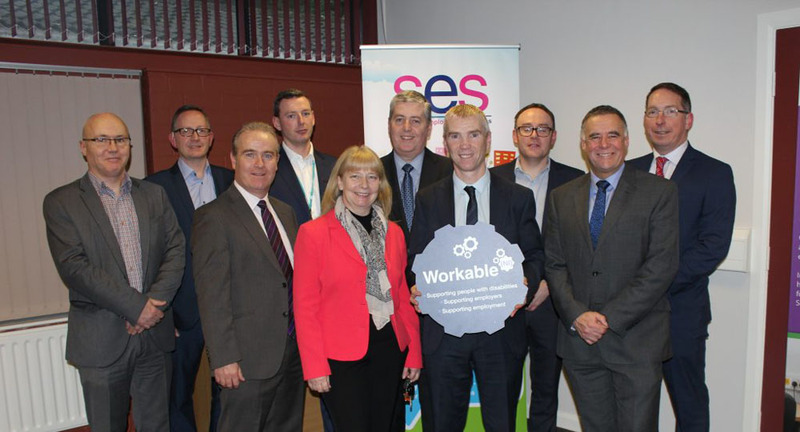 SES Supported Employment Solutions partnership is made up of seven disability organisations from across N Ireland who have come together to deliver Workable (NI) Programmes across the Region. The seven partners are Action Mental Health, Cedar, Action on Hearing Loss, Mencap, NOW, The Orchardville Society, RNIB, for more information http://www.sesni.org.uk.